J.C. Chandor’s last film Margin Call was all talk as a large voluble ensemble that included Jeremy Irons, Kevin Spacey, Zachary Quinto and Simon Baker played Wall Street masters of the universe caught in the panic of the 2008 financial crisis. That drama went on to win the Best First Feature and Robert Altman prizes at the Independent Spirit Awards and Chandor also snagged a Best Original Screenplay Oscar nomination. How to follow-up such success? 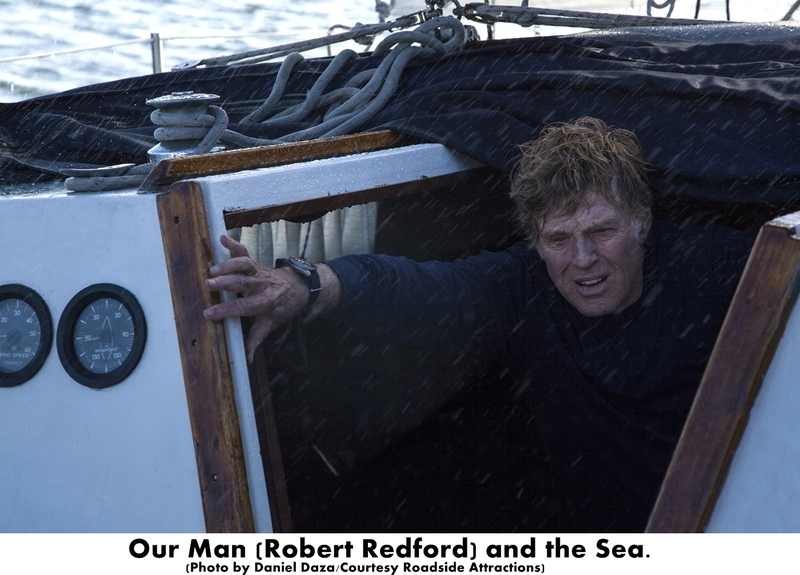 If you’re Chandor, you make a near-silent thriller, All Is Lost, focused on one man – Robert Redford in one of the great performances of his long career – battling bad luck and the elements in a quest to survive. “It was just one of four or five ideas that I was batting around,” says Chandor during a Bay Area visit where All Is Lost screened at the Mill Valley Film Festival. “That idea became a snowball rolling down the hill. It started to gather more and more stories and pieces and visual elements. You sort of pick which one to do next based on which one’s got the most momentum. Redford, 76 when the film was shot, plays a man on a solo sail who runs into catastrophe in the middle of the Indian Ocean. A damaged boat and stormy weather transform what was undoubtedly a pleasure cruise into a waterlogged hell. 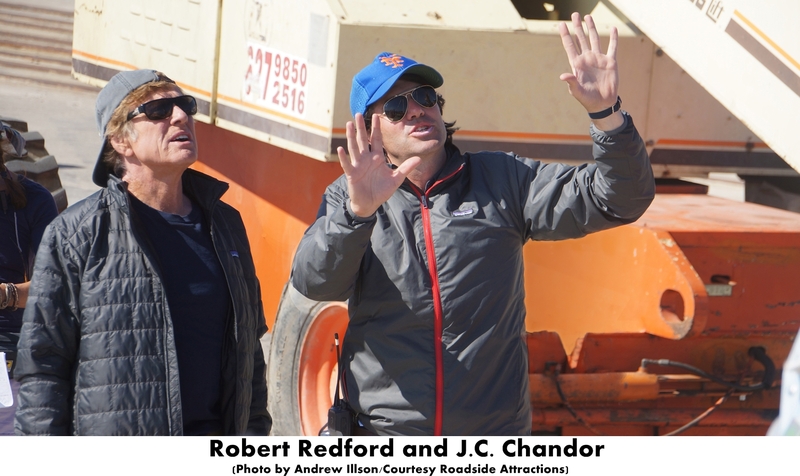 Chandor realized from the beginning that casting would be key to the success of the movie. He knew from the start that the project would only work with an actor of a certain age. Once he decided that the character called for an older man, the filmmaker was left with a very short list of names. The actor would have to be fit enough to handle the physical requirements of the role, which included climbing a 65-foot mast, lots of swimming and even more demanding stunts that would not be performed by a double. He would also have to be a gifted enough actor that he could hold an audience’s attention and convey what the character is going through without the crutch of dialogue. An outdoorsman all his life as well as a skilled performer, Redford quickly zoomed to the top of Chandor’s wish list. “He had this perfect balance of a longstanding relationship with the audience with this belief almost that I had that there were a couple of great performances still to give, that he still had a lot to give, which is, I think, why he said yes in a way,” the filmmaker says. “And then most importantly this kind of knife’s edge balance between being old and so fragile but also still so physically able to pull this off. Really what the film is struggling with is this character kind of coming to grips with the fact that life on earth is finite. The more and more I got into it, it started to be that there wasn’t anybody else to play the part. With the film about to open in theaters, the writer/director recently re-read his script for the first time in many months and realized how close the film he made came to the one he envisioned as he worked on his screenplay.